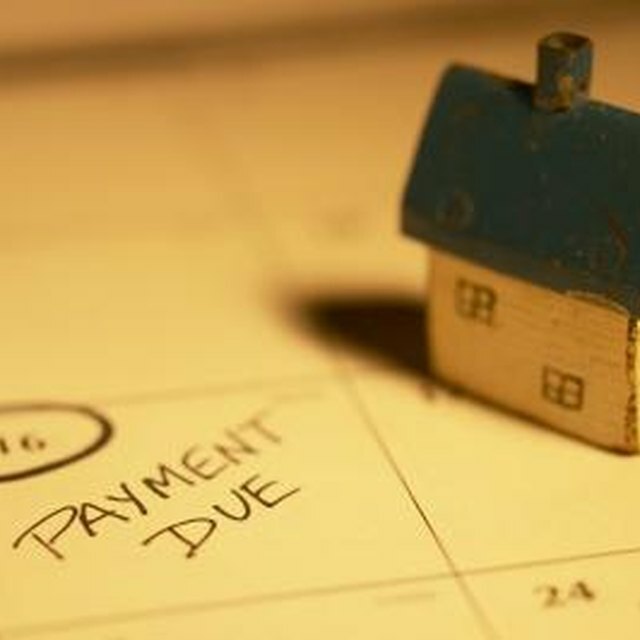 When financing a home purchase, your salary and debt dictate the loan amount you can afford. Lenders analyze your income via tax returns and recent paycheck stubs to compare your gross earnings to your monthly obligations to determine a debt-to-income ratio, also known as a DTI. Your DTI is used to calculate the maximum loan payment you can afford, which is one factor in determining the maximum house price you can afford. You can use a series of simple mathematical formulas to calculate the maximum house price that will ensure you don't expose yourself to unnecessary financial risk. Lenders calculate a front-end DTI ratio and a back-end DTI ratio for your housing expense and your total monthly expenses, respectively, as a percentage of your pretax income. The front-end ratio considers mortgage principal, interest, property taxes and homeowners insurance (PITI) and can also include mortgage insurance and homeowners association fees, when applicable. You must have sufficient gross income left over each month to quality for a loan. Your maximum home price depends on how much you qualify to borrow, which is based on the maximum payment you can afford, the loan interest rate and the down payment you contribute to the transaction. Assuming you earn a $50,000 salary, your gross income is about $4,167 per month. Lenders generally allow a front-end DTI of between 28 percent and 31 percent of your gross income to cover housing payments – principal, interest, taxes and insurance. Based on these benchmark DTIs and estimated property taxes and insurance of $2,400 a year, or $200 per month, you can afford a monthly payment between $967 and $1,092. ((0.28 x 4,167) - 200) and ((0.31 x 4,167) - 200). Depending on your lender's flexibility and the overall strength of your financial circumstances, the lender may allow you to exceed 31 percent. Your lender also considers other recurring debts, such as auto loans, student loans and minimum credit cards payments when calculating your DTI. The back-end DTI may exceed the front-end DTI by an additional 10 to 20 percent, depending on the loan type and lender. What Is the Maximum Mortgage That I Should Have Based on My Salary? Lenders calculate the amount you can borrower by considering the monthly payment you can afford, the annual percentage rate (APR = interest rate divided by 12 months), and the number of months in the loan term. Calculate this using an Excel spreadsheet, and solve for the present value (PV) -- PV is the loan amount. For this example, use a 31 percent front-end DTI and a monthly payment of $1,092, as calculated above; a 5 percent rate (APR=.05/12); and a 30 year term (30 x 12 months = 360). You also need to enter a future value (FV) – in this example use zero, which assumes the loan will be paid off at the end of 30 years. Enter these values into a cell on an Excel spreadsheet: =PV(APR, number of payments, monthly payment, FV) or =PV(.05/12, 360, 1092, 0) then press "Enter." A negative number will be calculated – ($203,419.53) – because it represents how much you will pay out. This is the maximum loan amount you can afford. Once you know how much you can borrow add to that your down payment to calculate the maximum house price you can afford. In this example, the maximum loan amount is calculated at $203,000. If you have a $20,000 down payment, you can purchase a $223,000 house. The higher your down payment, the higher the purchase price you can afford.